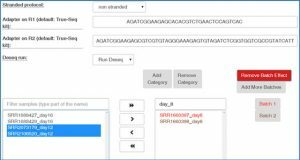 It has recently been shown that significant and accurate single nucleotide variants (SNVs) can be reliably called from RNA-Seq data. 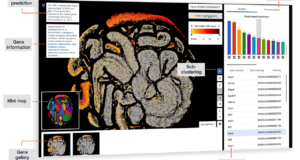 These may provide another source of features for multivariate predictive modeling of disease phenotype for the prioritization of candidate biomarkers. The continuous nature of SNV allele fraction features allows the concurrent investigation of several genomic phenomena, including allele specific expression, clonal expansion and/or deletion, and copy number variation. 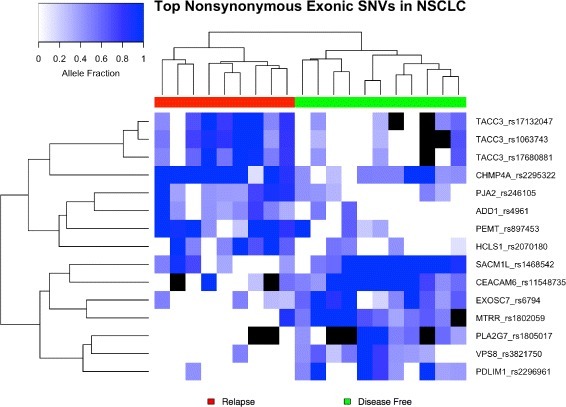 The proposed software pipeline and package, SNV Discriminant Analysis (SNV-DA), was applied on two RNA-Seq datasets with varying sample sizes sequenced at different depths: a dataset containing primary tumors from twenty patients with different disease outcomes in lung adenocarcinoma and a larger dataset of primary tumors representing two major breast cancer subtypes, estrogen receptor positive and triple negative. Predictive models were generated using the machine learning algorithm, sparse projections to latent structures discriminant analysis. 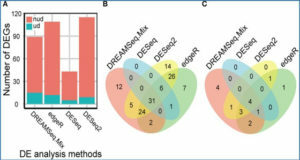 Training sets composed of RNA-Seq SNV features limited to genomic regions of origin (e.g. exonic or intronic) and/or RNA-editing sites were shown to produce models with accurate predictive performances, were discriminant towards true label groupings, and were able to produce SNV rankings significantly different from than univariate tests. 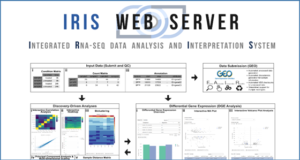 Furthermore, the utility of the proposed methodology is supported by its comparable performance to traditional models as well as the enrichment of selected SNVs located in genes previously associated with cancer and genes showing allele-specific expression. 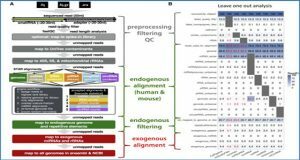 As proof of concept, the developers highlight the discovery of a previously unannotated intergenic locus that is associated with epigenetic regulatory marks in cancer and whose significant allele-specific expression is correlated with ER+ status; hereafter named ER+ associated hotspot (ERPAHS). 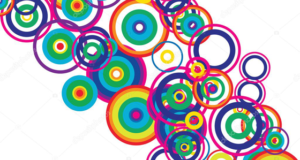 Availability – SNV-DA is freely available at https://github.com/Anderson-Lab/SNV-DA.